Why Is Everyone Talking About 1% For the Planet? Whether you’re a small business, a large corporation or an individual giver, it can be difficult to know that the money you donate is being put to good use. According to the National Center for Charitable Statistics, there are over 1.5 million nonprofit groups – in the United States alone! How do you choose just a handful to support? In 2002, two business owners joined forces to correct this problem. Yvon Chouinard of Patagonia and Craig Matthews of Blue Ribbon Flies sought a way to ensure that their charitable giving supported the greater good of the planet, and that every dollar gifted was put to work efficiently. Their organization, 1% for the Planet, was born in that year, and since then hundreds of businesses have joined in making a commitment to donate. How does One Percent For The Planet work? The organization vets non-profit groups which fall into one or more of six categories: food, climate, land, pollution, water and wildlife. As companies pledge to donate 1% of their total revenue, 1% for the Planet connects these businesses with the nonprofits that they’ve chosen to support. We’ve put together a list of the top companies that support 1% for the Planet. Within this list you’ll find women’s clothing, mattresses, bedding, comforter, duvet, sheets and more. All products and companies on the list support 1% for the Planet. Mattresses are historically not very eco-friendly. From the water used in production to the tendency they have to sit in landfills, the mattress industry is one of the most devastating to the planet. However, mattress manufacturers have begun to step up efforts to protect the earth and create more earth-conscious products. The following are a few of those companies – and each supports 1% for the Planet. Avocado Green Mattress remains one of our favorite mattress companies, and there are quite a few reasons! The mattresses are made in the USA from a host of non-toxic and organic materials. In the construction, you’ll find GOTS Certified organic cotton as well as natural Joma wool. The medium-firm feel is created through the use of 100% natural latex rubber. The Avocado Green Mattress is Greenguard Gold Certified and eco-INSTITUT certified to be completely safe and free from VOCs and other harmful substances. Prefer a vegan option? Avocado Green Mattress will handcraft you a bed that’s made without wool. Avocado Green Mattress reviews are consistently great. The bed is suitable for all sleep positions, and many customers have cited less back pain as their reason for loving the bed. Next on our list of the top companies that support 1% for the Planet is our Sweet ZZZ Mattress review. The Natures Novel Mattress is handcrafted in the United States and is made from all natural ingredients. A cotton and wool blend comprises the cover, allowing you a cool, moisture-wicking sleep experience. Natural and sustainable latex creates firm support – you’ll be comfortable whether you sleep on your back, stomach or side. The Sweet ZZZ mattress is safe for kids, too. It’s OEKO-TEX certified non-toxic and free from off-gassing. Talalay latex is naturally hypoallergenic, so your whole family will sleep soundly. Customers who have bought this mattress say that, even after several years of use, the bed still looks as if it’s just been unboxed! This 2920 Sleep review makes our list because the company is eco-friendly, of course. However, customers who purchased the bed said the motion control was excellent. If your spouse or partner tosses and turns at night, the 2920 Sleep latex mattress may be just what you’re looking for. The mattress is made in the USA and shipped in eco-friendly packaging. In fact, the mattress is condensed and rolled; when you receive it you’ll simply slip it from the box and allow it to expand. You won’t notice any strange smells coming from the 2920 Sleep mattress, either, as there’s no off-gassing. The 2920 Sleep mattress comes with a 100-night sleep trial. If you’re not happy with the mattress, the company will refund your money and pay for return shipping. We think you’re going to love it, though. Whether you’re a college student, live in a small space or just needed an affordable option for your guest room, you may have a futon. Owning a futon bed doesn’t mean you’re stuck with a hard mattress that’s laden with chemicals! Our Futon Shop review features a wool mattress that contains no chemicals. You’ll enjoy four inch individually pocketed coils, along with a naturally anti-microbial wool batting. Choose from a sustainable poly-cotton cover or opt for the GOTS Certified organic cotton. The mattress fits on any standard futon, but can also be bought to fit a sofa bed. Some customers have also used the mattress on a platform bed, eliminating the need for a box spring. The firmness of your mattress is up to you, as you can choose from many models available through the Futon Shop. The Futon Shop is a Green America Certified Business, and is, of course, a member of 1% for the Planet. Throughout the catalog you’ll find many eco-friendly, sustainable and organic options for every bed in your home. Children need a safe place to sleep, too! If you’re looking for a new mattress for your kids’ rooms, look no further than our Naturepedic review. This mattress is available in four sizes, and provides firm support kids need as their bodies grow. The Naturepedic Verse Organic Kids Mattress is Greenguard Certified to be free from harmful chemicals and toxins. GOTS Certified organic cotton is used to construct the bed, and encased coils further add to the breathability. In other words, your children will stay cool and comfortable to get the rest they need. The Verse Organic Kids Mattress is shipped rolled, allowing for a smaller carbon footprint. In addition to donating One Percent for the Planet, Naturepedic is also a supporter of Women’s Voices for the Earth, a member of the Ohio Environmental Council and several other eco-friendly organizations. Now that you’ve chosen your favorite eco-friendly mattress, you’re going to need to dress it up! Why not relax in the luxury of one of these sheet sets, comforter, duvet cover or earth-friendly blankets while you enjoy your new bed? All are available from Amazon, so buy them all together to minimize shipping materials. The first thing you’ll need to dress up your new bed is this Twilight Organic Sham by Coyuchi. Made from 100% GOTS Certified organic cotton, you’ll love the soft feel of the sham. Choose from two colors, River Stone or Natural. The quilted star pattern is perfect for your favorite guests but would also be perfectly appropriate for a child’s room! As we researched for this Coyuchi review, we learned that the company holds its products to very high standards. Where available, they’ll partner with suppliers of GOTS Certified fabrics as well as Fair Trade manufacturers. Coyuchi also works with local farmers to source sustainably and ethically harvested wool. While you’re shopping for your Twilight Organic Sham, check out the other products available from Coyuchi. The company has a large product offering of items for the home – bed, bath and even sleepwear! Jefferson Lane is an American company based in South Carolina. The product catalog features only bedding that’s crafted from 100% GOTS Certified Organic cotton. In addition to natural fibers, Jefferson Lane chooses eco-friendly and low-impact dyes. Finally, each product is made in a fair trade factory and supports the 1% For the Planet drive. For our Jefferson Lane review, we’ve chosen the Organic Cotton Sheet Set. This 300 thread count set is unbelievably soft, as no harsh chemicals are used in its production or the growth of the cotton fibers. The sateen weave is as soft as silk, but very lightweight and breathable for optimal comfort. Jefferson Lane products are shipped by Amazon, and all packaging is fully recyclable. Every organic cotton sheet set comes with a 45 night guarantee. Just as soon as we discovered this product, we knew we’d have to share a Rumpl review. Rumpl is a small American business that was originally launched via Kickstarter. After having been stranded in their car in the snow, the business founders began talking about the technology of blankets. Why couldn’t there be a compact, lightweight blanket that was actually warm? 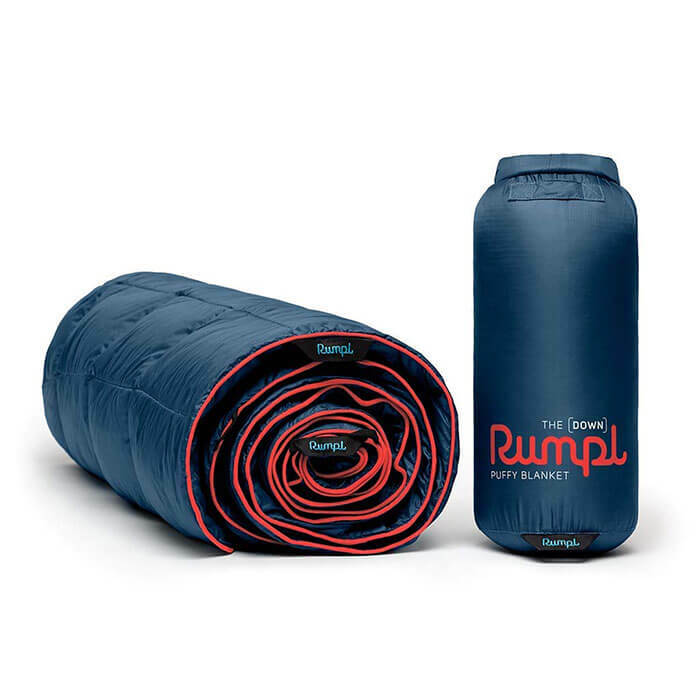 Rumpl was born as a result of an unfortunate experience, and today they’re one of the most well-loved camping blankets. Made from synthetic down, these little blankets are perfect for camping – but they’re also great to toss over your bed for cold evenings. Choose from a variety of colors and two sizes. Rumpl blankets are machine washable and dryer safe so you can feel free to use them every day. In addition to working with 1% for the Planet, Rumpl gives back to The Trevor Project, High Fives Foundation and various local non-profit groups. Our second bedding selection for our list of the top “give back” companies is this DOWNLITE review. DOWNLITE’s catalog features luxury linens which are hotel quality. The catalog boasts several brands you’ll recognize: Laura Ashley, Hanes and Eddie Bauer are a few! The mattress pad we’ve chosen was crafted by PrimaLoft. PrimaLoft is the creator of a 100% recycled and completely biodegradable fiber that’s super soft and, of course, sustainable! This mattress topper adds a bit of cloud-like comfort to your bed if you like a bed that’s more plush. This DOWNLITE mattress pad is machine washable and dryer-safe. Choose from five sizes to fit every bed in your home. As you know, your sustainable purchase will also help support environmental non-profits and 1% For the Planet efforts. We’ve put together a small sampling of products which demonstrate that even the smallest purchase can go a long way toward protecting the planet. Check out these housewares and kitchen gadgets to see what we mean. Did you know that burning paraffin candles can contribute to health problems? Paraffin, when burned, releases toxins into the air that cause eye and skin irritation. Long term use can lead to respiratory conditions, especially in children and older adults. Tea lights make a great addition to the atmosphere of your home, but you don’t have to rely on paraffin wax to get the ambience you’re looking for. The tea lights in our GoodLight review are created using pure cotton and palm wax for a clean, unscented burn. Palm wax is harvested sustainably, and of course cotton wicks are sustainable, too. Each candle will burn for up to four hours, so add a few to your favorite centerpiece. GoodLight gives 1% for the Planet, as well as are supporters of Carbonfund and Orangutan Land Trust. Each product crafted by the company is made in a fair trade factory, and the company is based in the United States. How many plastic storage bags do you throw in the trash each year? Plastic isn’t biodegradable and is extremely harmful to wildlife. Our Stasher review offers an alternative. This silicone bag was featured on Shark Tank, and provides an eco-safe and reusable way to store your food. Silicone is made from sand and carbon and is very sustainable. These bags are non-toxic and BPA free; there are no harmful chemicals. Furthermore, the Stasher bag is much more than your average Ziploc. It’s oven safe, safe for boiling water, the dishwasher and even the microwave. Stasher customers say they love the bag for the sous vide, too. Simply place your ingredients in the Stasher, then toss in the sous vide. The result? A perfectly cooked, eco-friendly and toxin free meal! Do you want to splurge on something for yourself? Maybe there’s a special woman on your gift list. These women’s clothing companies partner with 1% for the planet to ensure your purchase goes to support environmental causes. It would be impossible to list the top companies that support 1% for the Planet without a Patagonia review. After all, founder Yvon Chouinard was one of the two individuals who started the program in the first place! Patagonia has long had a history of supporting environmental causes, even prior to the launch of One Percent for the Planet. They regularly partner with food banks, disaster relief efforts and other grassroots organizations that work to eradicate hunger and to clean the planet. Our pick for this list is the Patagonia Women’s Dirt Craft Bike Short. We like the fit of this short; it’s fitted enough for cycling yet doesn’t look out of place on the hiking trail. Made from a partially recycled nylon and spandex blend, these shorts are water repellant and breathable. You’ll feel comfortable (and covered) whether you’re hiking with friends or training for a race. Another choice for women’s clothing that gives back is this Nuu Muu review. This long sleeve tee is exceptionally soft, and it’s made from recycled materials! The fabric is comprised of organic cotton, recycled polyester and a hint of spandex for stretch. It’s cut to fit over your yoga pants or even a tennis skirt. 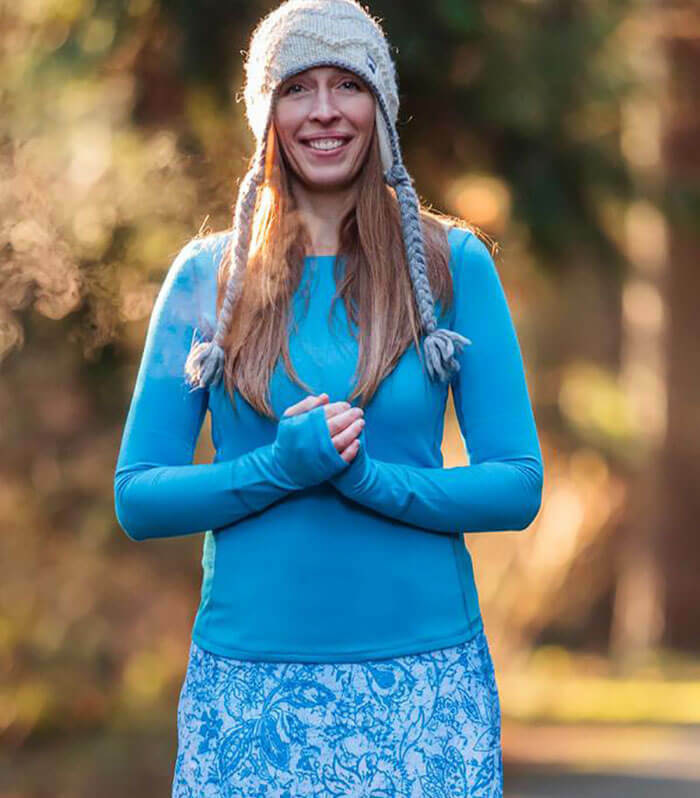 One of our favorite reviews of the Bluebird Tee by Nuu Muu was by a woman who is taller than average. She said the sleeves fit perfectly (thanks to thumbhole sleeves) and the shirt provides plenty of coverage. Each of Nuu Muu’s products are made in the USA under fair trade conditions. In addition to supporting 1% for the Planet, Nuu Muu is partnered with the Conservation Alliance. The company also regularly donates to causes which support girls’ and women’s issues. Last on our list is a collection of shoes, eye glasses and accessories. As with many of our other reviews, each product in this category is available via Amazon. Your purchase will be shipped in recyclable, reusable packaging. Amazon is one of the world’s largest e-retailers, and the company is committed to making strides toward a smaller footprint and a cleaner planet. As we explored the top companies that support 1% for the Planet, we felt we should include a Maniwala review. Maniwala is an American business, and they feature products made from hemp and pineapple fibers. Their products never contain plastic, and are extremely sustainable! The Banwa Pinatex Backpack is one of our favorites from the company. It’s made from sustainably sourced pineapple fiber, while the inner lining is comprised of a hemp muslin. There are two pickets in the bag, so you don’t have to worry about losing your credit cards in the roomy bag. Maniwala is a PETA-approved vegan company, and all products are made in the USA. We love that each of the bags and accessories is backed by a lifetime guarantee. If something goes wrong with your backpack, don’t toss it into the landfill. Instead, Miniwala will repair it for you. Since the 1960s, SeaVees has created a product line under the slogan “The new way to go casual.” In other words, you can wear these to a poolside party or dress them up for a night out – either way your SeaVees will look great. For our SeaVees review, we’ve chosen the Women’s Army Issue Low Standard Casual Sneaker. You can choose from two colors, olive or black, and enjoy a lightweight shoe with great support. A memory foam footbed keeps your feet cushioned whether you’re walking or just driving, and the natural rubber outsole gives you an extra spring in your step. Through its partnership with 1% for the Planet, SeaVees has chosen to support the Gaviota Coast Conservancy. This organization works to protect the southern coast of California through cleanup efforts, activism and research. Next on the list is our Gobi Gear review. This company is a family owned business based in Bend, Oregon. The company founders are world travelers, and in their travels they were presented with a problem: bags proved just too unmanageable for easy use. The Gobi Gear Hoboroll keeps all your “stuff” accessible. The ripstop nylon bag is durable and, above all, organized. Easily find your water bottle, your sunscreen or your GPS device in a hurry. 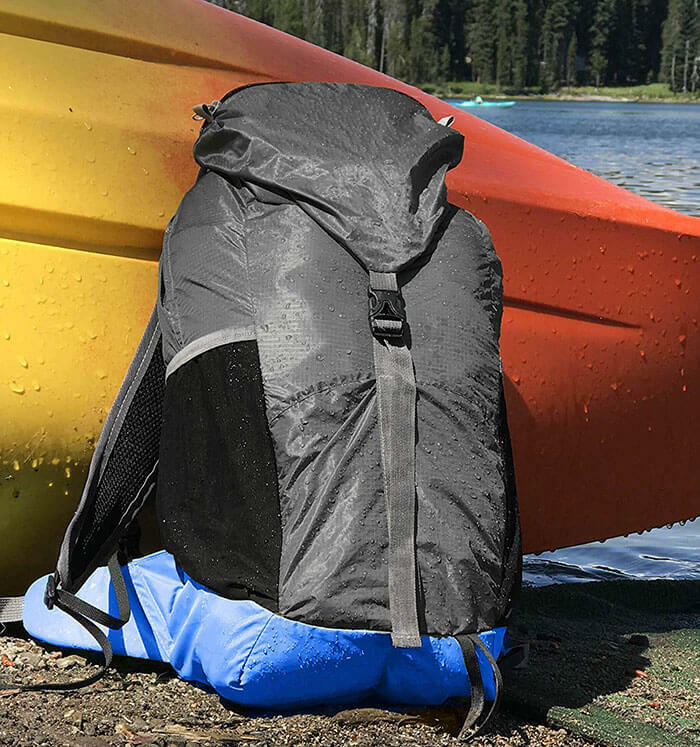 The details of this sack are awesome: a drawstring opening on each side, inner zippered pockets, a removable shoulder strap and reinforced stress points make this the most convenient and durable bag you’ll ever own. Gobi Gear founder Chez Brungraber holds a Master’s Degree in horticulture. It’s her love of the outdoors that led her to choose One Tree Planted as the company’s partner charity. One Tree Planted is a Vermont based organization that will plant one tree for every dollar donated. For our final company, we’ve chosen to include an ICU Eyewear review. The company is based in California and has had a proven track record as an environmentally friendly company. For instance, they created a process through which manufacturers could use reclaimed plastic, earth-friendly bamboo and recycled metal to create reading glasses! Our favorite product from ICU Eyewear is this round style. These women’s reading glasses feature a wood pattern. They offer a bit of a retro look but are still fashion forward! Your glasses come with a soft case for protective storage. ICU Eyewear donates thousands of reading glasses each year. Additionally, the company partners through 1% for the Planet to support breast cancer research and other non-profits. It can be difficult to know where your donated dollars are going! Are they being put to good use when you buy consumer goods such as organic mattresses, bedding, duvet, comforter, women’s clothes and kitchen gadgets? Don’t risk donating money to a fly-by-night charity. Instead, take advantage of 1% for the Planet’s mission to certify donations made to worthy causes. Businesses who support 1% for the Planet can choose fair trade, give back and eco-friendly organizations to which they donate. Rest assured, though, that those non-profits are reviewed and audited by 1% for the Planet, meaning your donations are in good hands.